We need Her, and She needs us. When we honour the Water as the lifegiver She truly is, we respect our own existence more as her protectors. Growing up, I remember water coming from the ground or the sky. Having a tap and an indoor toilet was a luxury; it still is for many of our people. When I was a child, everyone took great care with water; not always in a formal, ceremonial way but out of pragmatics and appreciation. Flipping on the tap isn't the same as pumping a well or hauling/heating snow for bathing. As I got older, I forgot about what it was like to not have easy access to water. I left water running, bought plastic bottles, and cursed at the rain and snow. Water was an “it”, a thing to use. I was like a nîpîy wîtihkow/Nibi Windigo. I had no thought or heart; I just consumed, taking and taking, using and using. I continued with this lack of consciousness until I was gifted with a visit from Mishibizhiiw. I came upon Him at the edge of the woods, lying down on His side. Instead of being sleek and powerful, He was so dry and brittle he could barely move. Mishibizhiiw asked me to tell our people not to forget, to remind them of our relationship with the water, with Him, and with the other Beings. I feasted on Him, making a commitment that I would remember and help others to remember too. 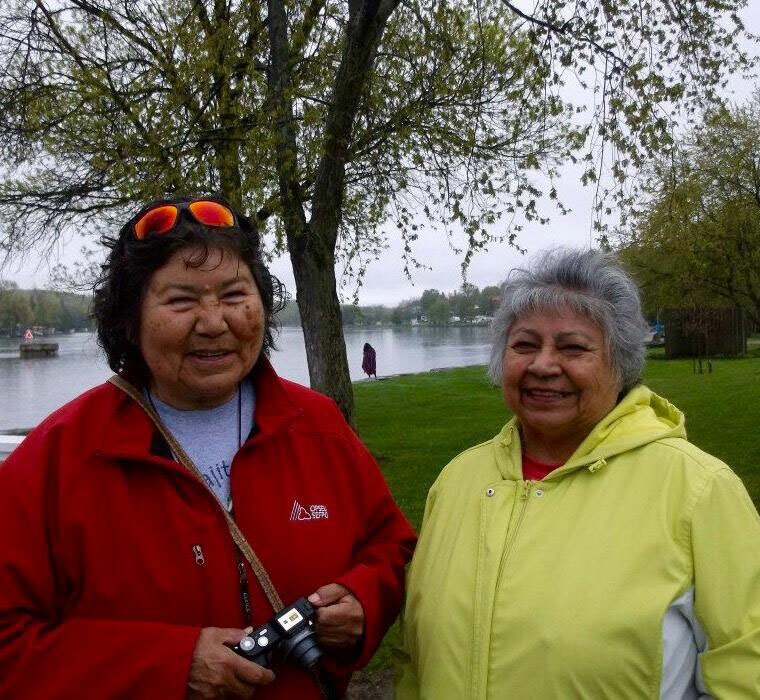 I began walking for the Water shortly afterwards with Nibi Emosaawdamajig under the direction of Anishinaabekwewag Shirley Williams and Liz Osawamick and then with Anishinaabe Nohkomis Josephine Mandamin, one of the Original Water Walkers, for the 2015 Sacred Water Walk. I have walked almost 1000 km. Just for perspective, Josephine has walked over 20,000 km. Every step is a prayer Nohkomis says, for nîpîy/Nibi and for all of Life. ii) Living Water: Walking with "One Heart One Mind"
Although a relatively new movement, Water Walking is one manifestation of our Ceremonies that are still present, despite attempts to destroy them through colonization. The same colonial processes are inexplicably linked to the destruction of Mother Earth and the Waters. As humans, we are the only entities who destroy the very Beings we need to survive. Our Ancestors, however, have left us bundles of knowledge that tell us we have to shift our consciousness and remember our responsibilities and obligations outlined in our Laws. 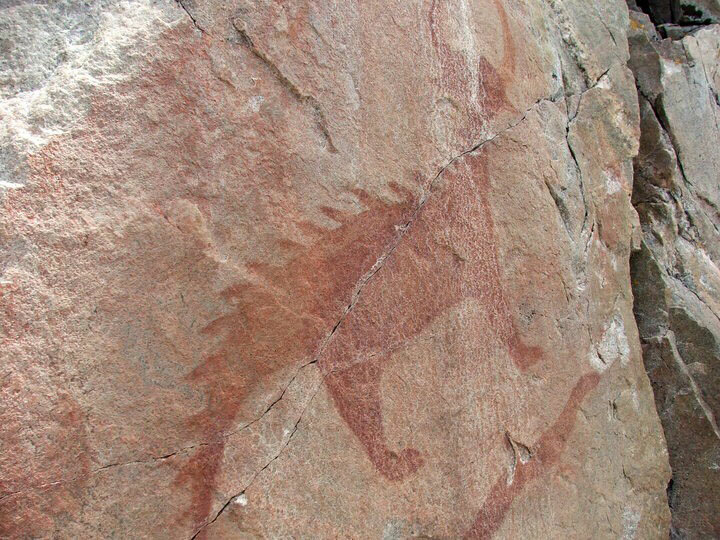 nîpîy/Nibi is one of our many relatives with whom we have a reciprocal relationship. Like our Ancestors, we move our bodies in Ceremony to articulate that relationship and to protect the Beings who sustain us for future generations. Carrying nîpîy/Nibi becomes a means for us as iskwêwak/Kwewag to connect to Her on a profound spiritual level. She becomes us and we become Her. For the napêwak/Niniwag, holding the Eagle Staff also connects them to not only Him, but to their roles as okicitawak/Ogichidaa, protectors of both the women and the Water. We become moving prayers entering into wâhkôtowin by committing our bodies and our spirits to it. 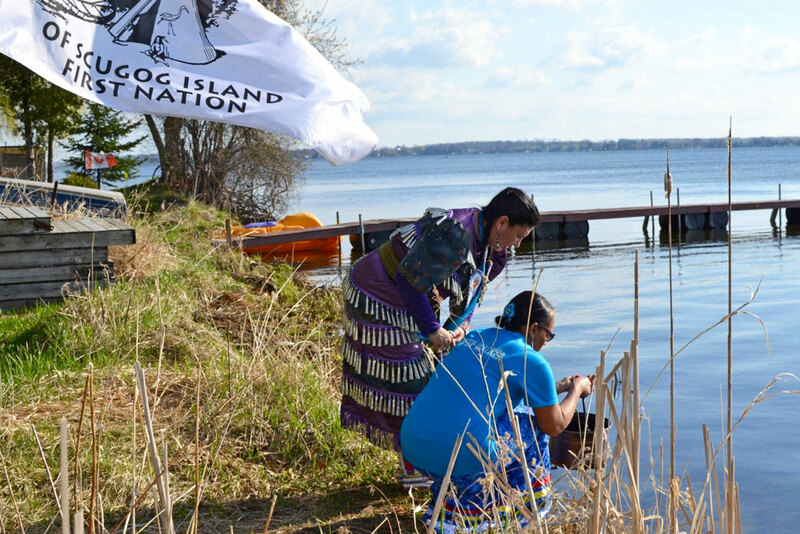 Water Walking also acts as a physical reminder to others who may have forgotten the simple fact: if we destroy nîpîy/Nibi nothing will live, including us. Many people ask what they as individuals can do. Begin educating yourself and teach the children. Enter into dialogue with local, provincial, and federal governments to develop Water protection policies. For a start, don't run the tap unnecessarily, have quick showers, collect rainwater, pick up garbage from around rivers/lakes, and refrain from buying plastic water bottles. Finally, talk to nîpîy/Nibi, say thank you, offer Her your prayers/your tobacco, love Her, and sing to Her. Everyone – no matter who you are, Indigenous or non-Indigenous – can enter into a relationship with nîpîy/Nibi. She is waiting for you. Tasha Beeds resides in the Anishinaabe Territory of the Mississauga Nation where she is a Professor and a Ph.D Candidate in Indigenous Studies. She grew up with her mother's nêhiyaw and Métis family in the territories of Treaty 6, kisiskâciwan. Tasha has articles in Me Funny, Indigenous Poetics, Mixed-Race Women Speak Out, and The Canadian Journal of Poetry as well as in a number of print and online publications. As a woman of nêhiyaw ancestry, a 1st degree member of the Midewiwin Society, and a Water Walker, she is dedicated to moving in Ceremony for the Water, the Lands, and for the continual resurgence and revitalization of Indigenous thought, knowledges, and sovereignty in all forms.